3-Bedroom Contemporary Cape with Trail Access! 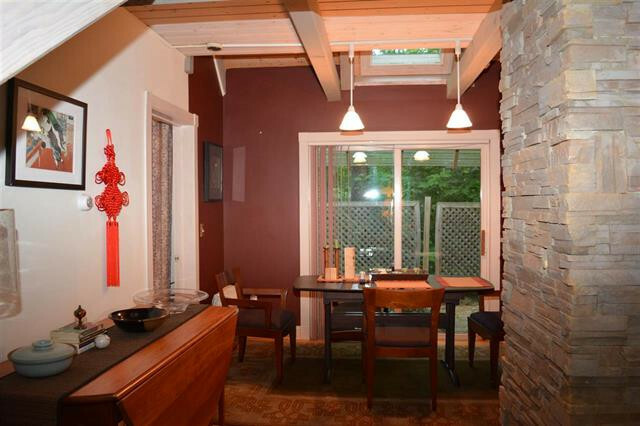 Contemporary cape home located at end of a cul-de-sac on community water and sewer. This 3-bedroom, 2.5-bath home features an open concept kitchen/living room with hardwood flooring that centers around a gorgeous stone-layered fireplace. Stunning multi-level windows and skylights infuse the home with light. Gourmet kitchen features custom cabinets, granite counter tops, island, gas stove, and custom pot rack. First-floor Master bedroom suite with custom-built walk-in closet. Second bedroom suite updated with custom closet, which doubles as utility/storage space. 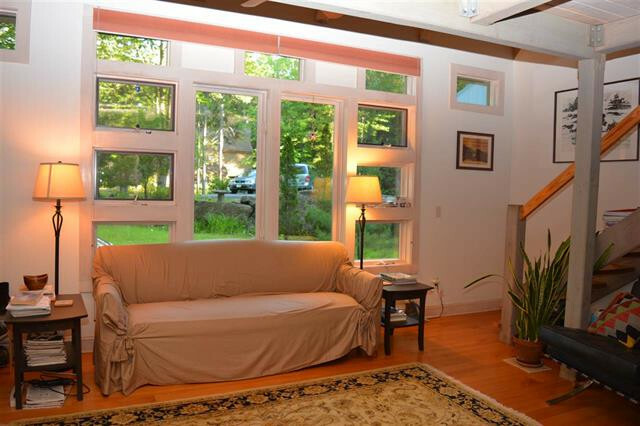 Radiant floor heating throughout. Large upstairs loft provides additional living space. Complete with a detached carport with storage shed. Great location with immediate trail/hiking access adjacent to property. 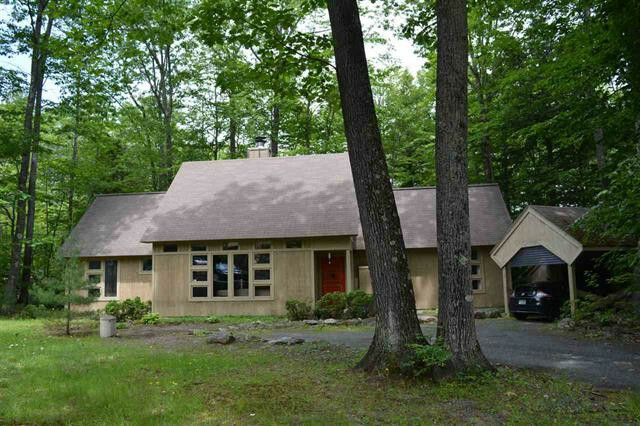 Convenient to I-89 Exit 13 and Eastman community amenities, only a 5 minute stroll to beach and Eastman Lake, and an easy 20 minute commute to DHMC/Lebanon/Hanover area. Enjoy lake activities, 18-hole championship golf course, miles of groomed cross-country ski trails, tennis and more in Eastman! SOLD! Please call Carol Shepherd at 603-568-0880 or email carol@sheprealty.com to see homes currently on the market in Eastman.